As of today, there are 50 commercial breweries in Connecticut. Armada isn’t one you can visit in the normal sense, as owner/brewer John Kraszewski leases space from Overshores Brewing in East Haven to brew his line-up of stellar ales. 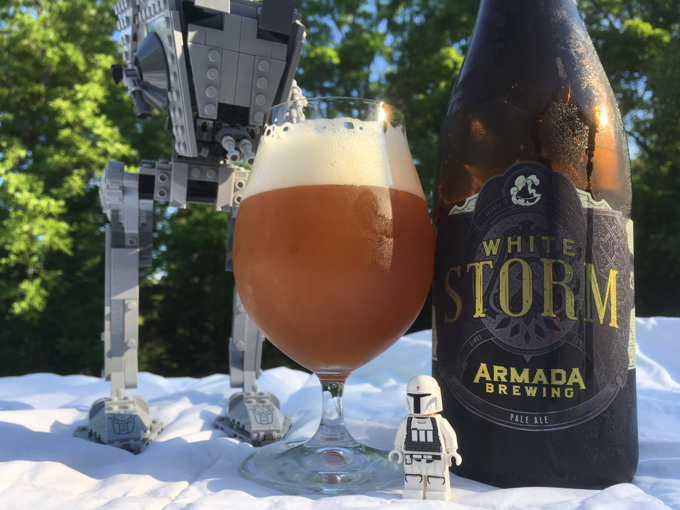 For many CT Hops for Hope guests, it will probably be their first time sampling Armada’s efforts. I’ve never met John, but I feel as though I have. My man hustles and gets his brand into the collective minds of local beer enthusiasts. He has a knack for getting media coverage, but never in an annoying way. I respect that. In fact, he recently won Brewbound’s 8th Start-Up Brewery Challenge! From what I gather, this was based equally on his ability to pitch his vision as well as his ability to brew. This is a pretty big deal. Armada brings a mid-western ethos to Connecticut brewing and to CT Hops for Hope. His lineup of IPA’s and ales and such certainly dip their toes into the whole “New England” fruity thing, but still retain some of that classic resin and bitterness that, to old heads like myself, are what IPAs and pales truly are. Don’t miss out on your chance to meet John and drink his beers at the fest!